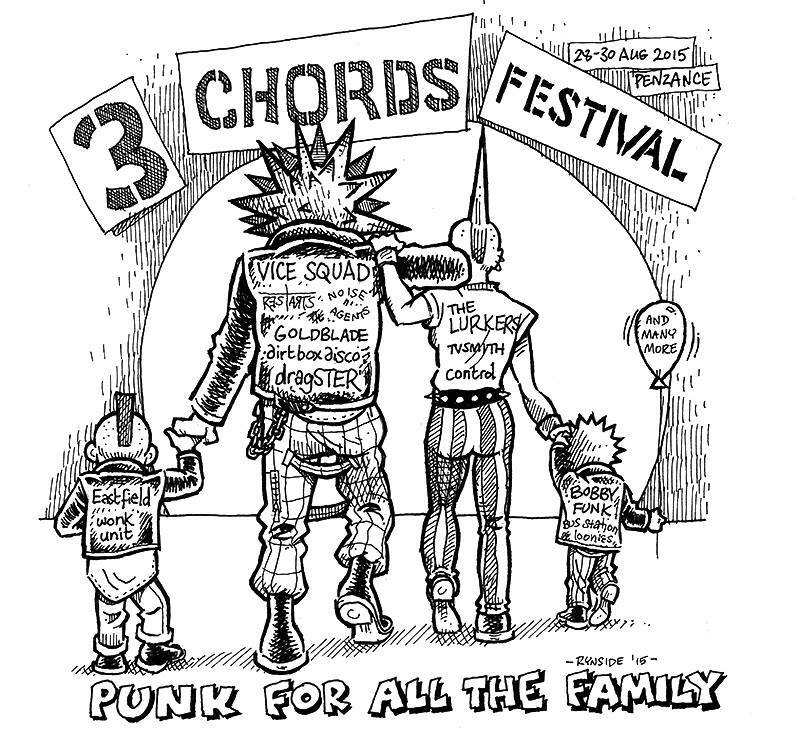 In 2014 I was invited by the Three Chords punk festival in Penzance to be a resident artist, creating promotional artwork for the festival. Pastyman is the first Cornish superhero, who found himself with strange powers after eating a radioactive pasty. Developed, written and illustrated by myself, Pastyman’s first adventure will be published sometime in the coming year. 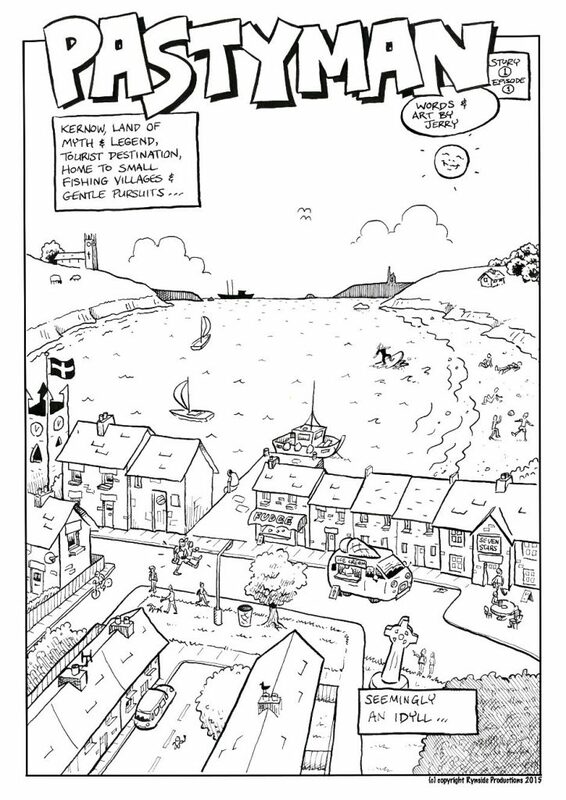 In the meantime you can get a taster by visiting his Tapastic site. T-Shirts. 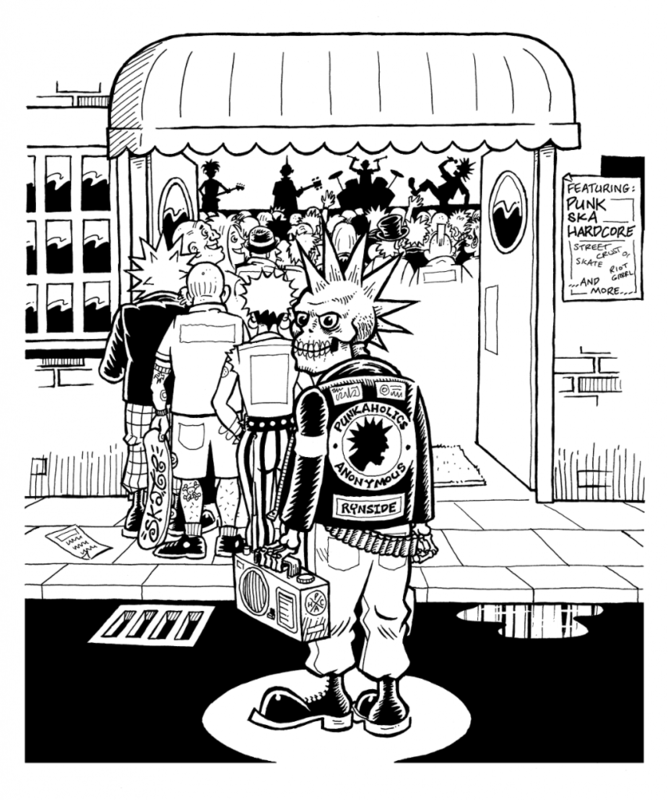 I was asked by Punkaholics Anonymous, a punk radio station to illustrate their mascot, Skaletone Bob. I was involved in a collaborative project to produce a short animation highlighting some of the perils of lack of privacy and naive internet usage. I designed the characters and provided the artwork for the short film, which can be seen below.